Aging can cause special problems related to eye health and vision. Cataracts, glaucoma, macular degeneration, and other problems can lead to loss of vision that impacts the quality of life for seniors. At Naples Eye Physicians in Naples, FL, we offer detection, management, and treatment of common eye problems in the senior population. As you get older, you may find you need more frequent changes of prescription to help you see clearly for everyday tasks. Your eye doctor in Naples can provide comprehensive eye exams to find the precise vision correction prescription for your needs. Aging can also bring dryness of the eyes which can cause blurry vision, eye fatigue, a gritty feeling in the eyes, or a feeling that something is in the eyes. Your Naples ophthalmologist can offer a number of solutions for dry eyes, to help your eyes feel more comfortable. As the year's pass, the lens of the eye can become clouded, leading to poor vision and distorted color perception. Surgery is the standard treatment to remove the damaged lens, replacing it with an artificial one. Older individuals may experience increased pressure in the eyes that can lead to vision loss. This condition, called “glaucoma,” can be treated with medications or with special surgery. Damage to the “macula” area of the retina of the eyes can also occur with aging. This problem requires different types of treatment, depending on the type of age-related macular degeneration. Physicians recommend that individuals with type-1 or type-2 diabetes have regular eye exams to detect abnormalities in the blood vessels of the eyes that signal a problem. High blood sugar levels cause damage to the tiny blood vessels in the eyes that may require treatment to prevent vision loss. 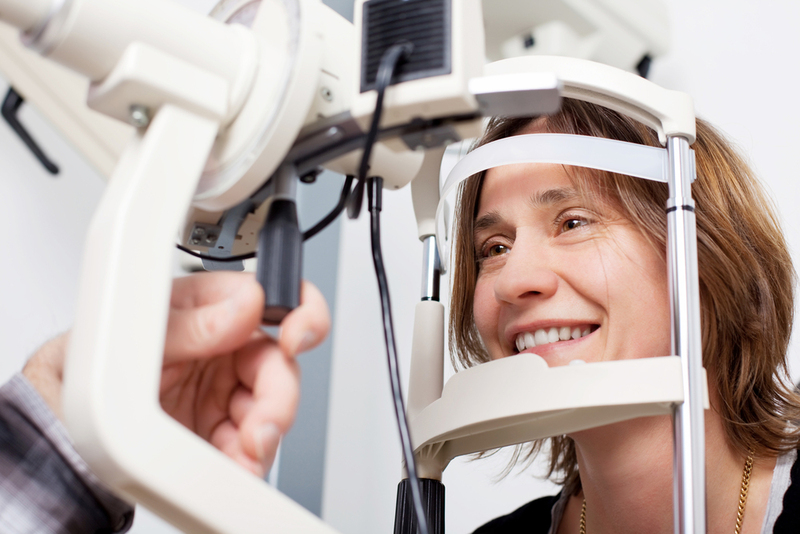 Your eye doctor uses special equipment to look at the internal structures of the eye to detect small changes indicating the early stages of eye disease. When found, treatment can begin immediately to preserve your vision. In addition, regular eye exams will also allow the doctor to monitor the progress of these problems, to ensure that intervention is administered when needed. Dr. Rougraff and Dr. Byerly use their extensive training in ophthalmology to help patients in Naples, FL, and surrounding areas enjoy better vision and greater eye health. Call Naples Eye Physicians today at 239-262-6288 for an appointment to have your eyes examined and to learn how to care for your eyes, whatever your age.